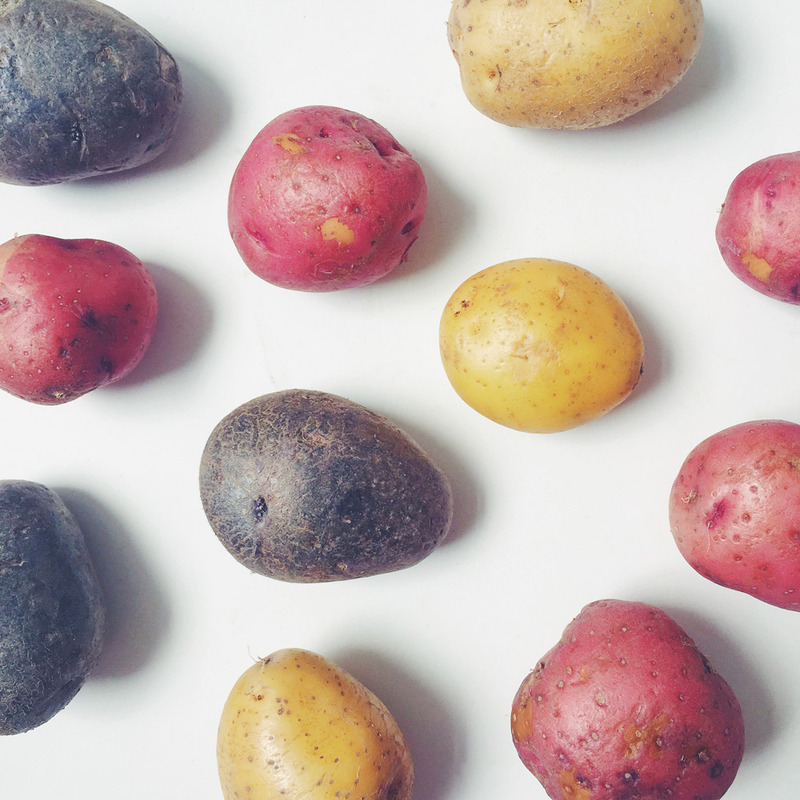 Mini potatoes are adorable and are the perfect portion for a side dish. We wanted to create a way of presenting these guys and utilizing their mini size. The idea is to smash tender potatoes and finish them off in the oven. By doing this you have soft potato insides finished with a crunchy, salty edge, basically the perfect way to eat potatoes. These guys are great in lieu of french fries because you can quickly make a large batch with barely any prep time. This recipe is a great way to learn the technique and once you understand the process, you can easily adapt it to make more potatoes. Cook the potatoes in the water until tender, about 8-10 minutes. When the potatoes are finished cooking, remove them from the water and set aside to cool. 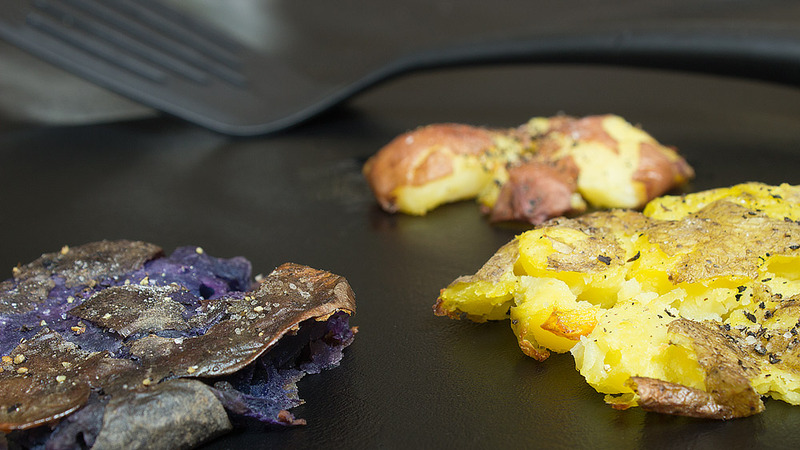 Place the potatoes on a greased baking sheet and smash them, using either a potato masher, or the heel of your hand. Bake for 15 minutes until the tops are crispy and begin to brown.